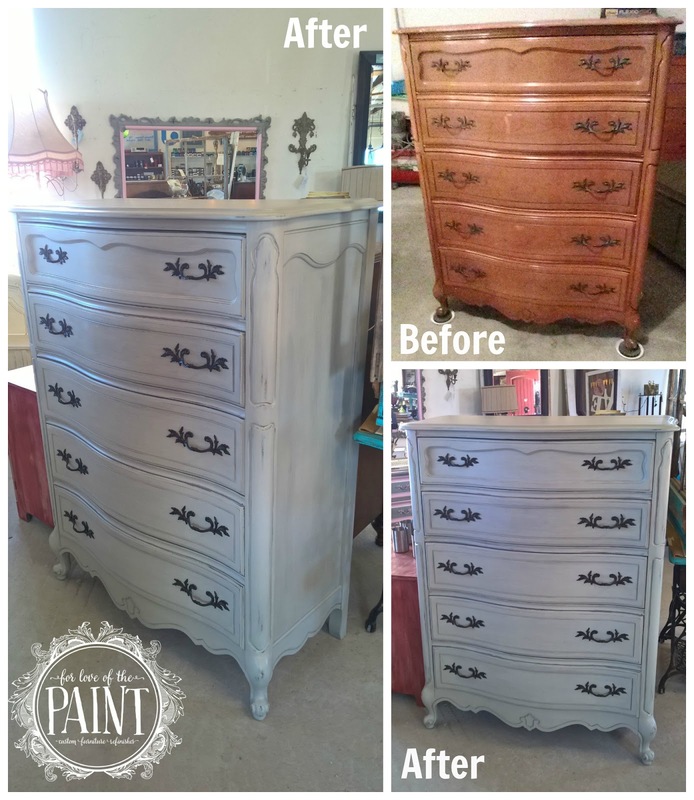 This has to be my favorite style of chest of drawers right now - tall and beautiful, with tons of storage and a lot of character! I love love love serpentine fronts also. So when my friend texted me photos, I knew we were a match made in heaven! This sweet vintage Bassett French Provincial chest of drawers went to the front of my to-do list and got a custom blend of some of my clients' most recent favorite colors : Annie Sloan Chalk Paint in Old White, French Linen, Duck Egg, and Louis Blue. I mostly blended the color, but left a small amount of variation so the layers would be a little distinctive. Next, I used washes of the color to blend it out, but leave the subtle color differences. 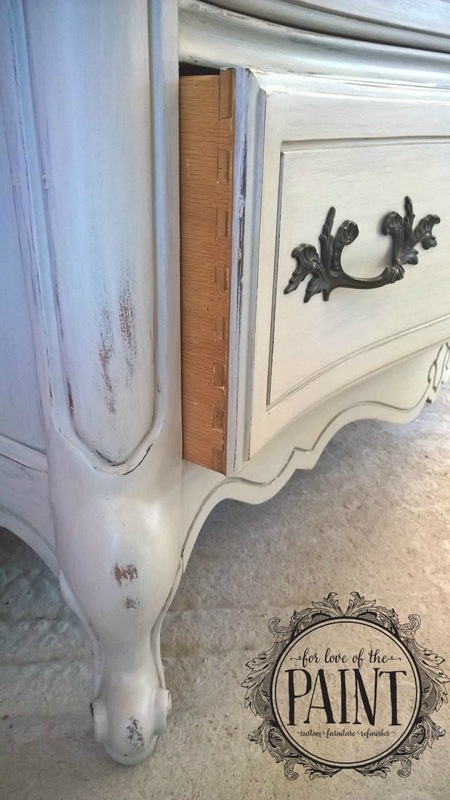 I gently distressed for a gorgeous, perfectly imperfect, shabby chic look. Isn't she beautiful? The overall look is a little bit of a gray / "greige" for a gorgeous neutral. I can see this one in a master bedroom, or even a nursery! What colors of paint have you been using lately? Try blending some of the cohesive color-family remnants and send us the photos! I'd love to see and share them!! It looks gorgeous! So many beautiful details with new life breathed err...painted into them! Thanks, Christine!! That's one of my favorite parts, recapturing those beautiful details :) So glad it stood out! This is my favorite! Beautiful lines. My favorite style too. Thanks, Sheryl!! I really love this style also. Classic is always chic!